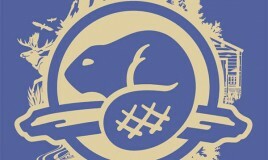 6 incredible years designing and illustrating for Parks Canada! 100s of illustrations, 1000s of products, marketing and social media assets all completed for their new Official Merchandise lines. New branding for Ontario Volleyball by Kristine Verbeek at K Design Studio. Volleyball for Life. 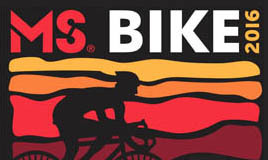 New marketing collateral for the MS Bike program for Canada, by K Design Studio. Gear up to End MS. Exciting product, packaging + web development for National Distribution Souvenir company. Including NHL designs + original illustrations. BEWARE kids- you will want everything. From creating the big strategic picture to developing all the elements that support it, bringing brands to life is one of our many passions and talents. Direct Marketing, posters, ads, catalogues, flyers and business cards are all samples of print advertising that allow us to touch, surprise and motivate people. Our goal is to grab the consumer’s attention to touch it, want it, play with it, eat it (if edible), BUY it to take it home to LOVE it. Digitally optimize your online and multimedia strategies to spark the imagination of your customers. We have the passion and experience for sport designs. NHL, NCAA, NFL, Team Canada, FIFA, Ontario Basketball, Volleyball, MS Bike + more! You should never lose that kid at heart…we sure haven’t. 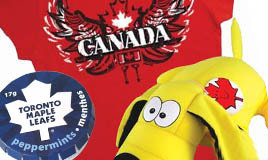 We love doing playful, educational and licensed designs for childrens' products! 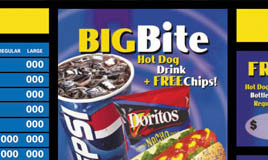 Digital menu boards + ads, shelf planning, danglers, posters, banners, marketing collateral…we do it all. 3D renderings can be created to help clients visualize designs and ideas and strategize graphic improvements to their commercial environments.